It is said that nothing is certain but death and taxes and if you live in South Florida, you can probably add swim suit season to that list. Every year without fail the warm weather sneaks up on us and next thing you know it's daytime highs of 90 degrees and sunny and the beach and pool become a regular weekend event. Warmer weather also means that after a day out in the hot sun all I want is a cold bubbly drink or a cool refreshing treat. And with swim suit season looming on the horizon, I am trying to find a way to have my cake (or soda, or ice cream) and eat it too. Have I used up my cliche quota for this post yet? One of the ways you can swap out a high calorie beverage for a lower calorie one is by checking out the new line of TEN Sodas. 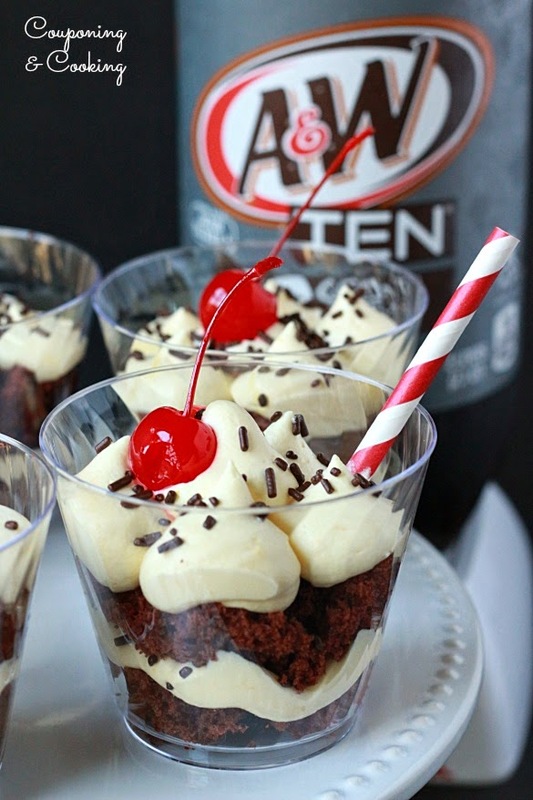 With ten calorie per serving versions of 7-Up, Sunkist, Canada Dry & A&W Root Beer you will be sure to find something to satisfies your soda craving without making you sacrifice flavor. 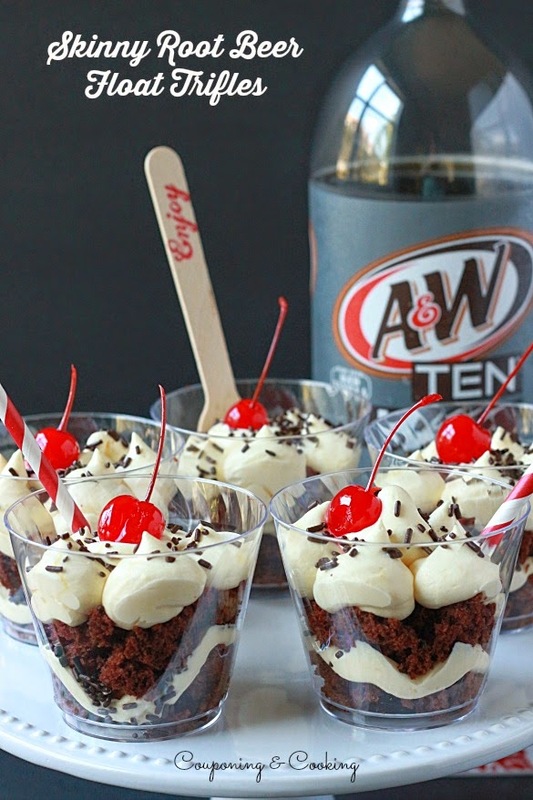 Seeing the A&W TEN on the shelves during a recent trip to Walmart finally gave me the push I needed to try out one of those cake recipes you see on Pinterest where the recipe is touted as being as easy as mixing a can of low calorie soda with a box of cake mix. I feel like I have pinned some version of that dessert at least a hundred times in the last year but I have never had the motivation to actual make it. 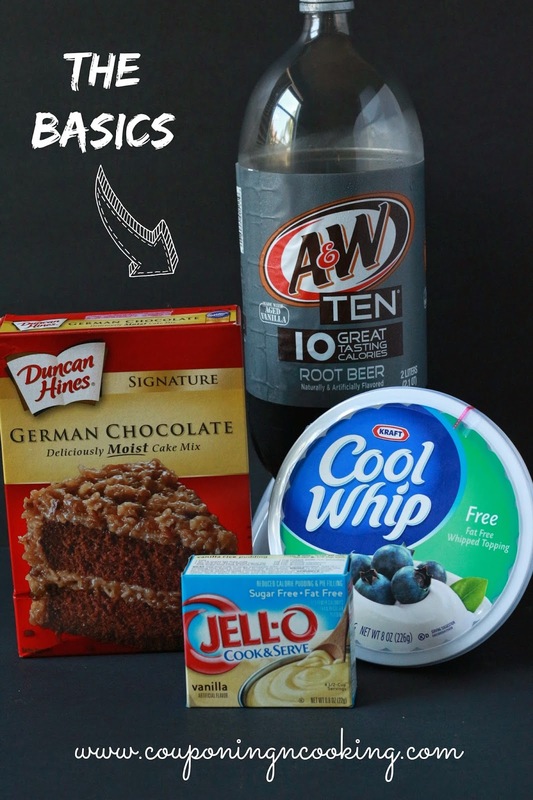 While at Walmart, I grabbed a box of German Chocolate cake mix, some fat free Cool Whip and a box of sugar free Jell-O pudding mix and headed home to put Pinterest to the test. The cake turned out amazing, I was prepared for it to be not as good as regular cake but really it was fantastic. Since I was hoping to make this a treat that I could use to replace the desire for ice cream after a hot day, I decided to jazz up the cake a little bit. 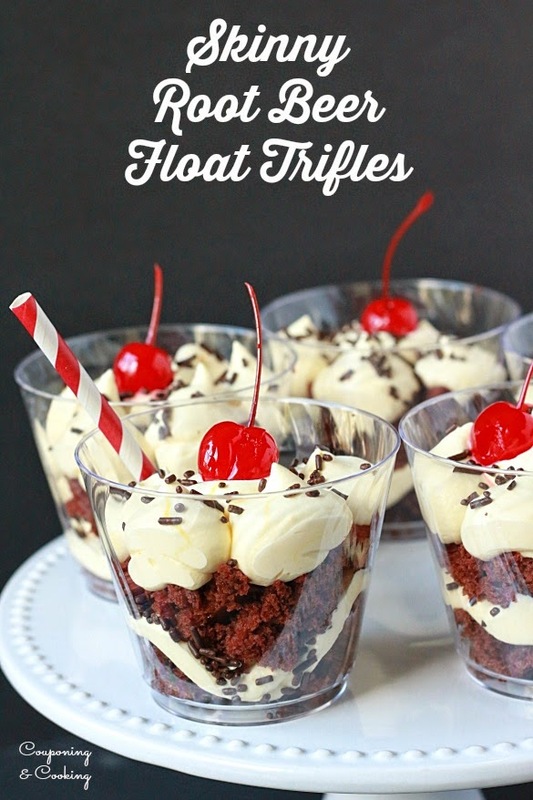 I mixed the box of sugar free pudding mix into the fat free Cool Whip to make my own lighter version of icing and then layered it with pieces of cake and sprinkles to make my own version of a root beer float trifle. Stored in the fridge these are the perfect little treat for the end of the day and a while they aren't completely calorie free, they definitely have a lot less sugar and fat than your typical frozen treat. 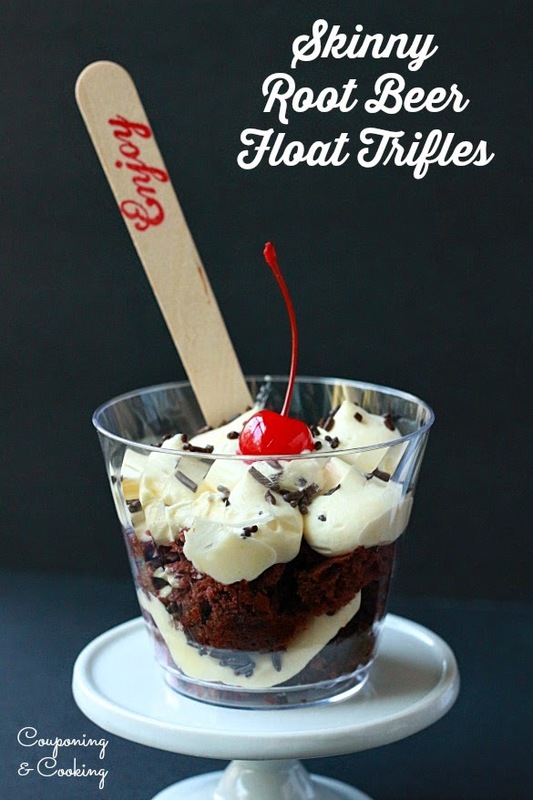 With only four 1 inch squares of cake and a little whipped topping each, they can satisfy your sweet tooth without filling you up. I am now imaging all kinds of versions of this dessert. Sunkist TEN Creamsicle Trifles anyone? 1.) Using an electric hand mixer, beat together the soda and the cake mix. 2.) Pour into a greased 9x13 pan and bake at 350 degrees for about 20 minutes. 3.) While the cake is baking, stir the pudding mix into the Cool Whip and set aside. 4.) Once the cake has cooled, cut into one inch squares. 5.) Press or crumble two squares into the bottom of each cup. 6.) Using a spoon or a piping bag, add a small layer of the Cool Whip pudding mixture, add in a few sprinkles if desired. 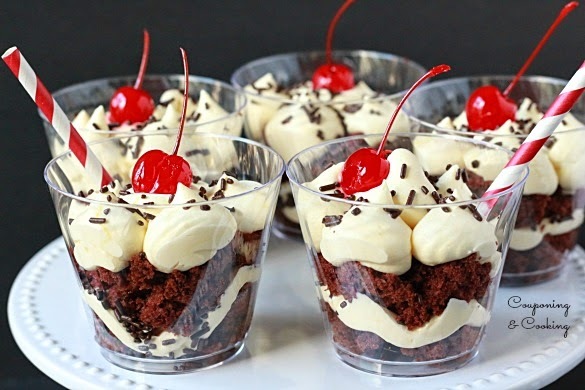 7) Add two more squares of crumbled cake, top with Cool Whip pudding mixture and add a cherry and sprinkles. 8) Store in an airtight container in the fridge and enjoy when ever you need a cool, refreshing treat. Want to try the TEN line of sodas for yourself? Head on over to Walmart.com and print a coupon for up to $1.50 off your purchase of TWO 2 Liter bottles or TWO 4-pack cans of 7UP TEN, A&W TEN, Canada Dry TEN, RC TEN or Sunkist TEN soda. (Offer available while supplies last, from 3/27-4/17) You can also visit DPSG on Facebook or Twitter to learn more about the TEN line of sodas.